RSVP: Join us for our next open Evernote Accelerator meetup! Instantly turns Evernote notes into beautiful blog posts. Creates new notes in Evernote that amplify the notes you've already taken. A gorgeous vocabulary learning tool. Integrates with Evernote and Evernote Peek! Supercharges your iOS clipboard by saving phrases into Evernote along with their context. Coordinates group travel plans through Evernote. Builds great itineraries. Uses geolocation to remind you to see the things you want when you're traveling. The Evernote Accelerator is an intense residency program for the best independent teams building apps that work with Evernote. For four weeks, Accelerator teams will study a startup curriculum, attend workshops with Evernote engineers and designers, mingle with Silicon Valley influencers, and hack at their apps. The Accelerator culminates in a demo day on November 14. Travel, housing, and our legendary catered daily team lunches are included. Office space is provided in the Evernote building. Each of the 2013 Evernote Accelerator teams won its spot by competing in the Evernote Devcup competition. Their apps are already winners. The Accelerator is going to make them even better. Pebble is the Kickstater-launched smartwatch phenomenon. The first session of the Evernote Accelerator will take place from October 21 to November 15, 2013. 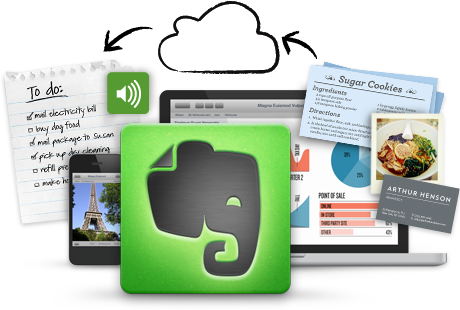 Admissions for future Evernote Accelerator sessions will be announced soon! Cost to entrepreneurs: Zero. Evernote is not taking equity in Accelerator startups. Because when great developers build great apps for Evernote, our users win, Evernote wins, and developers win too. You can get started with the Evernote platform right now. Get your API key now and start building! The Evernote Accelerator is a production of the Evernote platform team and managed by Rafe Needleman, Evernote's director of developer relations. Send him a note if you have questions.